Christmas and the winter months that follow are the ideal time of year for burglars to thrive, as the evenings get darker earlier coupled with the expensive gadgets and other gifts that may lay within. Being the victim of burglary is extremely distressing and upsetting, so we thought it the perfect time to answer some common home safety questions to keep you safe throughout the winter months and beyond. What are the most common crimes in the UK? Burglary – Notable peaks recorded in Jan, Oct and Nov 2018. How do most burglars break into a home? And contrary to popular belief, most home burglaries take place during daylight hours rather than the night time – due to the fact that most households will be at work or school, therefore reducing the burglar’s chances of being seen and caught. 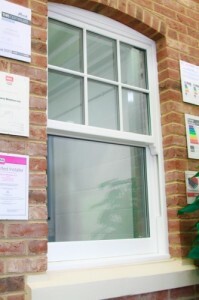 Is double glazing burglar proof? 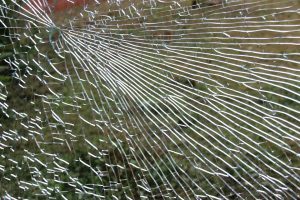 Double glazing is virtually burglar-proof as it’s incredibly hard to break, effectively putting two barriers between you and potential thieves. Furthermore, the gas in-between the gaps also acts as a shock absorber. Around 95% of break-ins require some amount of force, so it’s much more likely that burglars will target cheaper looking single & secondary glazed windows, rather than reinforced double or triple glazing. What is the strongest door? 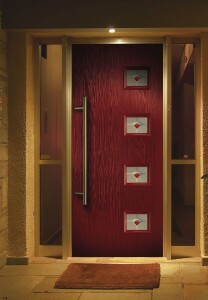 The strongest materials for front and back doors are hardwood, steel and fibreglass – which is why composite doors are leading the market in durable door technology. Manufactured with security firmly in mind, our high-quality and high-security composite doors feature a high-density foam core door slab within a steel-reinforced uPVC frame and an impact-resistant GRP skin (aka fibreglass). Combined with the sought-after Secured by Design police accreditation and market leading high-performance multi-point locks, if you’re looking for strength then composite doors are your best bet for heightened home security. What’s the best way to prevent break-ins? These may seem simple, but it’s surprising how many break-ins occur because of the pure negligence of homeowners who fail to lock their doors and windows properly! Lock doors and windows every time you leave the house, even if you’re in the garden. Remember to double-lock uPVC doors by lifting the handle and turning the key. Regularly check and maintain your window and door frames. Door frames, in particular, are important to keep an eye on, as cracked or warped doors simply welcome thieves on the lookout for an easy break-in. Remove valuable items from the view of ground floor windows. Make your home look like someone’s there at all times e.g. automatic timer-switches. Don’t broadcast your holiday plans across social media. The Albany Windows team are here to help protect you and your family from theft this year. So, book an appointment, get a quote or contact us for further guidance and support.